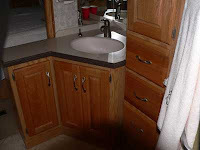 The RV Doctor: RV Construction - Interior Wall Removal - UPDATE! RV Construction - Interior Wall Removal - UPDATE! I have an older RV I just bought. It is kind of a project for me and one of the things I'd like to do is open up the bathroom area in back. But to do so I have to remove a cabinet and two short inner walls. Not having worked on motorhomes before I am wondering if I can just remove the walls or if they serve some load bearing function. They are located on the back wall and don't seem to do anything but divide space, but I don't want to make a major mistake. Joel, there are no load-bearing interior walls in the motorhome. You are correct; they are there simply to create separation between areas of the RV and are considered basic partition walls. And I’m guessing every one will be hollow walls at that. You’ll probably also find screws coming into the cabinets from the outside in. These can simply be hack-sawed or cut with a Saws-All. 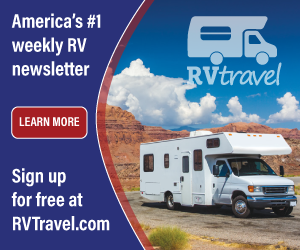 Update from Richard Miller: Gary, you recently advised that it was OK to cut an RV interior wall and that the walls in RVs were not load bearing. I agree about the load bearing statement, but I also know that I have black/gray vent pipes and wiring to switches and thermostats located in the interior walls of my 5th wheel. They are not all located in the outside shell walls. The questioner should be advised to proceed with caution after careful examination. Thank you Richard! You are exactly correct and you may have saved Joel some headaches. Indeed if the partition wall exhibits any type of electrical component, it may be necessary to re-route some wiring before removing the wall itself. Also, if the partition wall appears to be a couple inches wide or more, there could be some vent piping stashed behind there. As Richard mentioned, proceed with caution if any doubt exists. Labels: Construction, Interior Care, Misc.